Borgo Maggiore is one of the 9 communes or "castelli" of San Marino. It lies at the foot of Monte Titano and has a population of 6,871 (May 2018), making it the second largest town of San Marino, after Dogana. 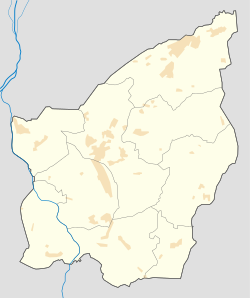 It borders the San Marino municipalities Serravalle, Domagnano, Faetano, Fiorentino, San Marino City, and Acquaviva and the Italian municipality Verucchio. The area was previously called Mercatale ("marketplace") and remains today the most important market town in San Marino. A cable car allows Monte Titano to be scaled up to the town of San Marino. Today Borgo Maggiore contains the nation's only heliport. Though it is not the most populated, the Market, as well as the connection to San Marino City, make it very much a city-like shopping hub.